On LinkedIn Education you can explore your desired field of study to find members who studied it (unfortunately this service is no longer available). The results show you where they work (employers), what they do (job functions), where they went to university, where they live (countries & greater city areas), and how you are connected to them. 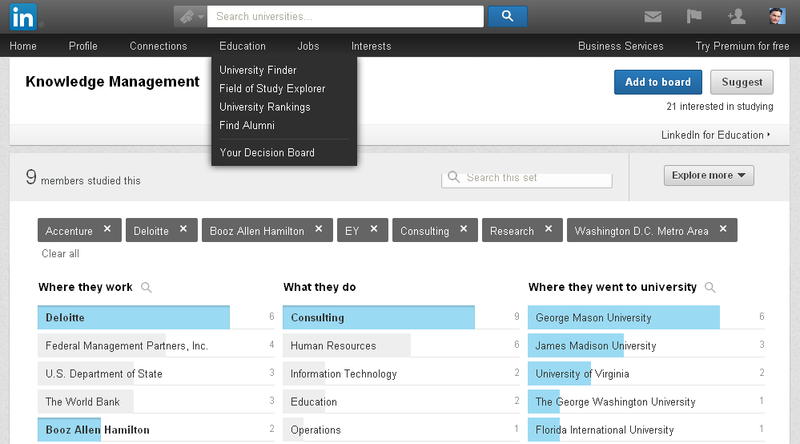 By clicking on items in the results it allows you to break them down by specific employer(s), job function(s), school(s), location(s), or level(s) of connection. have jobs in IT, consulting and education (4,667).